After years of half-hearted responses to the likes of Sony and Fujifilm, Canon has finally decided to jump onto the full frame mirrorless bandwagon. This new release comes closely on the heels of fellow competitor Nikon, who has just announced their own full frame mirrorless cameras – the Z7 and Z6. With all the major camera companies all embracing full frame mirrorless as the future of cameras, this might just be the beginning of the end for DSLRs. For photography enthusiasts who are always on the go, a full frame mirrorless camera is ideal as you’ll get clear, high-quality pictures without being burdened by a bulky, heavy camera. Canon is releasing a whole new system and lens, called the EOS R system. 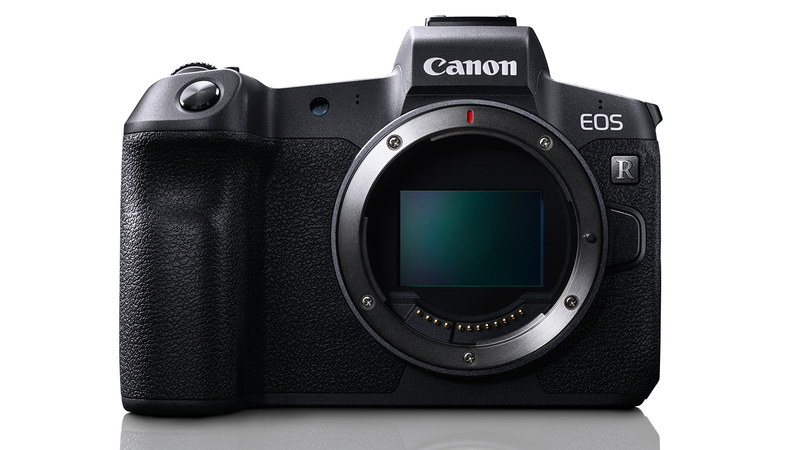 The EOS R looks pretty similar to Canon’s DSLRs, but is still much lighter and smaller. It’s also got plenty of features that photography enthusiasts have been hoping for – Bluetooth and Wifi connection, 30 megapixel sensor, 4K video recording, Dual Pixel autofocus system, dust and weather resistant. Just like all their other cameras, Canon prefers to rely on lens-based image stabilisation, and is not including built-in optical image stabilisation (OIS) for the EOS R.
The EOS R is also good in low-light situations with the ISO range from 100 to 40,000. You’ll be able to capture those gorgeous star-filled skies and grungy yokochos without much problem. The EOS R can also shoot up to 8 images per second for capturing snapshot moments. 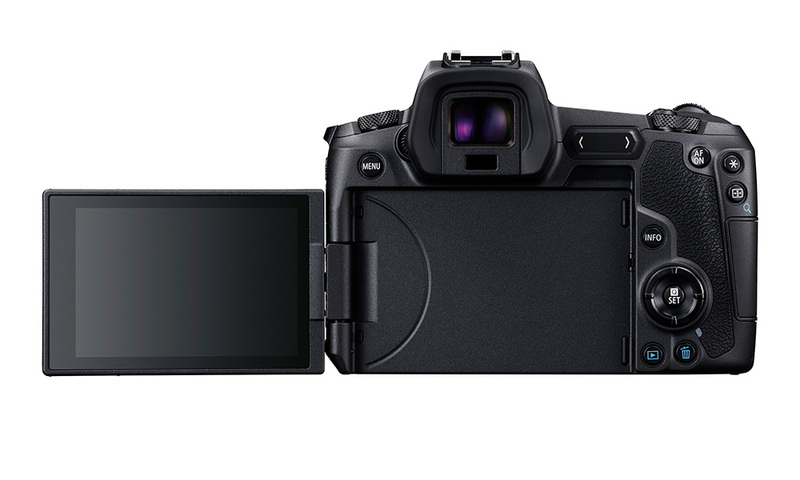 New to the camera is a ‘M-Fn Bar’ to the right of viewfinder, which is a sliding touch bar that can be customised to change ISO, shutter speed, white balance, movie mode and more. Pretty handy if you’re constantly switching in between modes. 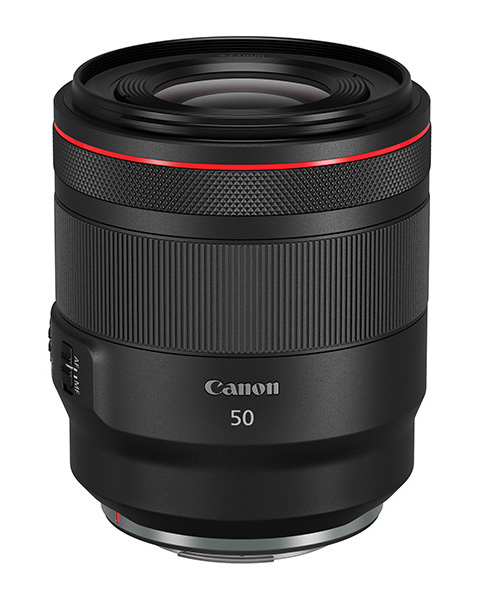 Together with the announcment of the new body, Canon is also releasing 4 new lens for their new camera. The lens cover all the basics, with a 28-70mm f/2, a 50mm f/1.2, a 24-105mm f/4, and a 35mm f/1.8 macro lens. If you’re already in possession of a whole arsenal of Canon EF and EF-S lens and want to switch to the EOS R body, you can still use your old lens! All you need is to just get the EF to RF adaptor, which will come in three different versions. 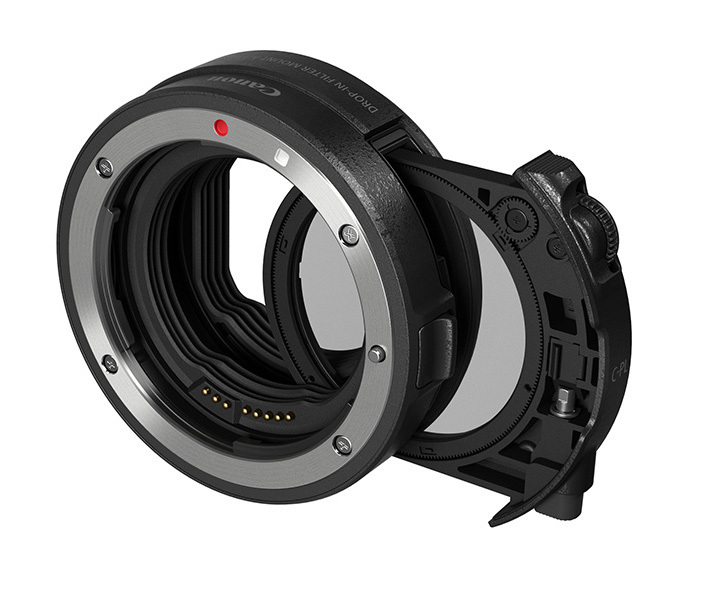 There’s a basic adaptor, one that allows you to seamlessly use drop-in filters, and the final one has a customisable colour wheel. Canon says that all their old lens would perform just as well with the new mount, but you’ll have to try it yourself. Retail prices and release details for Singapore hasn’t been released, but the EOS R won’t come cheap. The EOS R is slated for release in October, and is retailing at US$2,299 for just the body, or US$3,399 with the standard zoom 24-105mm f/4 lens.